Formed in 2004, Shires Oak Buildings provides a comprehensive project package covering a radius of around 50 miles from their Warwickshire base. The company has expanded organically year-on-year, maintaining the skills, quality, and customer service that the business was based on originally. We’ve worked with hundreds of clients on a huge range of projects since our formation in 2004. Our high quality work and commitment to our customers has earned us a sterling reputation. The Shires Oak team will be on hand throughout the process; we’re dedicated to supporting you. We’re confident that we can build you something beautiful that fits perfectly with your requirements. Rob Ainscow started Shires Oak Buildings in 2004 having previously worked for one of the biggest oak framed house builders in the UK. 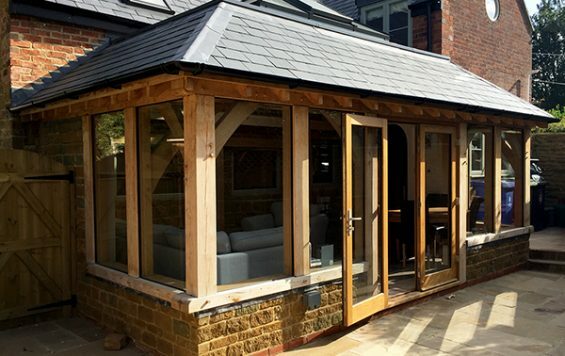 His (initial) intention was to provide a more complete service to customers that not only delivered the very best in design and construction of oak frames but also all the associated works that are required to take a project from conception to completion, thus giving clients a one-stop shop. This is still a rarity within the oak frame industry. Managing director Robert Baldwin joined Shires Oak Buildings in 2005. He brought an invaluable skill set and wealth of experience both from his 40 years of ‘hands-on’ work in the construction industry and his oak framing knowledge. He very much leads from the front and expects exceptionally high standards and commitment from the rest of the team. 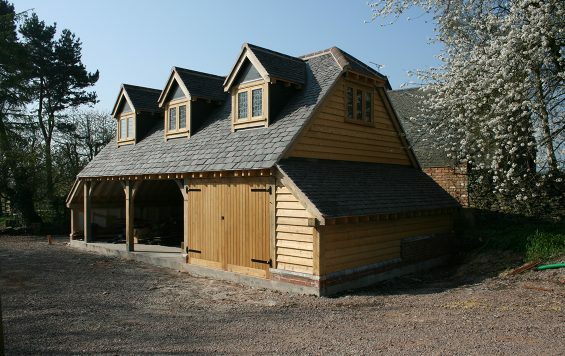 The Shires Oak Buildings team are experts in every aspect of the design and building process, and you can feel confident in our ability to take your project from start to finish. We will discuss your needs in full, providing 3D models and drawings to help you visualise the possibilities. We are also happy to submit planning applications to save you the headache! We will then manage completion of groundworks, or can work closely with your own contractors. Our skilled team will assemble the oak frame of your structure ready for roofing. Because we are experienced in civil engineering and roofing as well as oak frame construction 80% of our projects are what we describe as ‘complete works’. "Thank you for the oak garage - it's just what we wanted. The quality of the design, construction, workmanship and overall service is very good. Thank you again..."
"Just to say thank you for a really great job, the garage is absolutely super, I'm very, very pleased with it, it's a credit to your company. It's been a pleasure from beginning to end, you are all lovely people to work with and thank you very much." "Thank you for an excellent job well done! I also want to compliment the quality of workmanship that went into the construction of our wonderful new two bay garage. It was a great team working on site and it was a pleasure having them around. I will definitely have no problem in recommending Shires Oak Buildings!"